The Ozturk Group has been operating since the beginning of the 1980s. Established by Mr Fikret Ozturk, the conglomerate constantly strives to keep its reputation for best business practice, and social responsibility, to the fore. It provides large scale employment, across a wide range of sectors, in excellent work conditions and, as a priority, protects the environment. It also voluntarily assists many social causes. The clear intention is to proudly evolve a legacy, from which many future generations can benefit. The Ozturk Group is currently active in Petroleum Distribution, Real Estate Development, Hospitality, Logistics, Agriculture, Mining and Pet Products, with a combined turnover of 11 billion US dollars. 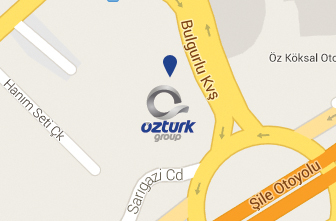 The Ozturk Group has been operating since the beginning of the 1980s.